This article is about the letter of the alphabet. For other uses, see Z (disambiguation). Z (named zed /zɛd/ or zee /ziː/) is the 26th and final letter of the modern English alphabet and the ISO basic Latin alphabet. In most English-speaking countries, including the United Kingdom, Canada, India, Ireland, New Zealand, Zambia, and Australia, the letter's name is zed /zɛd/, reflecting its derivation from the Greek zeta (this dates to Latin, which borrowed X, Y, and Z from Greek, along with their names), but in American English its name is zee /ziː/, analogous to the names for B, C, D, etc., and deriving from a late 17th-century English dialectal form. Another English dialectal form is izzard /ˈɪzərd/. This dates from the mid-18th century and probably derives from Occitan izèda or the French ézed, whose reconstructed Latin form would be *idzēta, perhaps a Vulgar Latin form with a prosthetic vowel. Its variants are still used in Hong Kong English although they are usually seen as mispronunciations. Other languages spell the letter's name in a similar way: zeta in Italian, Basque, Spanish, and Icelandic (no longer part of its alphabet but found in personal names), zê in Portuguese, zäta in Swedish, zæt in Danish, zet in Dutch, Indonesian, Polish, Romanian, and Czech, Zett in German (capitalised as a noun), zett in Norwegian, zède in French, and zét in Vietnamese. Several languages render it as /ts/ or /dz/, e.g. zeta /tsetɑ/ or /tset/ in Finnish. In Standard Chinese pinyin, the name of the letter Z is pronounced [tsɨ], as in "zi", although the English zed and zee have become very common. In Esperanto, the name of the letter Z is pronounced /zo/. The Semitic symbol was the seventh letter, named zayin, which meant "weapon" or "sword". It represented either the sound /z/ as in English and French, or possibly more like /dz/ (as in Italian zeta, zero). The Greek form of Z was a close copy of the Phoenician Zayin ( ), and the Greek inscriptional form remained in this shape throughout ancient times. The Greeks called it zeta, a new name made in imitation of eta (η) and theta (θ). In earlier Greek of Athens and Northwest Greece, the letter seems to have represented /dz/; in Attic, from the 4th century BC onwards, it seems to have stood for /zd/ and /dz/ – there is no consensus concerning this issue. In other dialects, such as Elean and Cretan, the symbol seems to have been used for sounds resembling the English voiced and voiceless th (IPA /ð/ and /θ/, respectively). In the common dialect (koine) that succeeded the older dialects, ζ became /z/, as it remains in modern Greek. The Etruscan letter Z was derived from the Phoenician alphabet, most probably through the Greek alphabet used on the island of Ischia. In Etruscan, this letter may have represented /ts/. The letter z was part of the earliest form of the Latin alphabet, adopted from Etruscan. Because the sound /z/ in Latin changed to /r/ by rhotacism in the fifth century BC, z was dropped and its place given to the new letter g. In the 1st century BC, z was reintroduced at the end of the Latin alphabet to represent the sound of the Greek zeta /dz/, as the letter y was introduced to represent the sound of the Greek upsilon /y/. Before the reintroduction of z, the sound of zeta was written s at the beginning of words and ss in the middle of words, as in sōna for ζώνη "belt" and trapessita for τραπεζίτης "banker". In some inscriptions, z represented a Vulgar Latin sound, likely an affricate, formed by the merging of the reflexes of Classical Latin /j/, /dj/ and /gj/:[example needed] for example, zanuariu for ianuariu "January", ziaconus for diaconus "deacon", and oze for hodie "today". Likewise, /di/ sometimes replaced /z/ in words like baptidiare for baptizare "to baptize". In modern Italian, z represents /ts/ or /dz/, whereas the reflexes of ianuarius and hodie are written with the letter g (representing /dʒ/ when before i and e): gennaio, oggi. In other languages, such as Spanish, further evolution of the sound occurred. Early English used S alone for both the unvoiced and the voiced sibilant. The Latin sound imported through French was new and was not written with Z but with G or I. The successive changes can be well seen in the double forms from the same original, jealous and zealous. Both of these come from a late Latin zelosus, derived from the imported Greek ζῆλος zêlos. The earlier form is jealous; its initial sound is the [dʒ], which developed to Modern French [ʒ]. John Wycliffe wrote the word as gelows or ielous. Z at the end of a word was pronounced ts, as in English assets, from Old French asez "enough" (Modern French assez), from Vulgar Latin ad satis ("to sufficiency"). 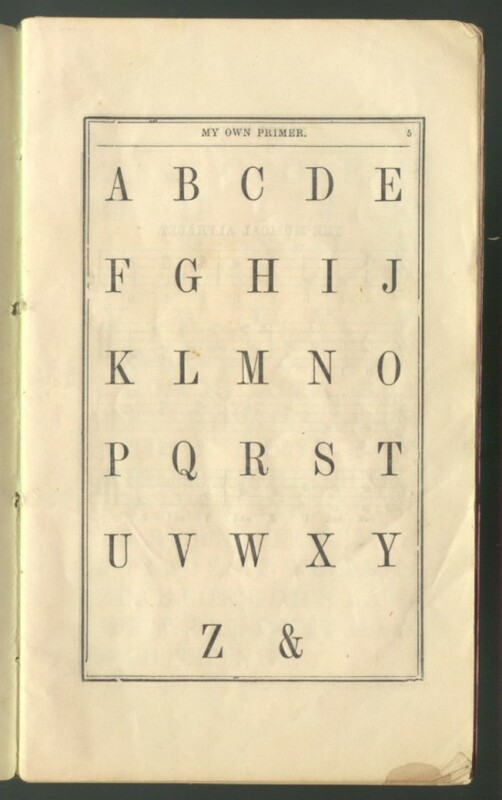 In earlier times, the English alphabets used by children terminated not with Z but with & or related typographic symbols. In her 1859 novel Adam Bede, George Eliot refers to Z being followed by & when her character Jacob Storey says, "He thought it [Z] had only been put to finish off th' alphabet like; though ampusand would ha' done as well, for what he could see." Some Latin based alphabets have extra letters on the end of the alphabet. The last letter for the Icelandic, Finnish and Swedish alphabets is Ö, while it is Å for Danish and Norwegian. In the German alphabet, the umlauts (Ä/ä, Ö/ö, and Ü/ü) and the letter ß (Eszett or scharfes S) are regarded respectively as modifications of the vowels a/o/u and as a (standardized) variant spelling of ss, not as independent letters, so they come after the unmodified letters in the alphabetical order. The German alphabet ends with z. A glyph variant of Z originating in the medieval Gothic minuscules and the Early Modern Blackletter typefaces is the "tailed z" (German geschwänztes Z, also Z mit Unterschlinge). In some Antiqua typefaces, this letter is present as a standalone letter or in ligatures. Ligated with long s (ſ), it is part of the origin of the Eszett (ß) in the German alphabet. The character ezh (Ʒ) resembles a tailed z, as does the yogh (ȝ), with which it came to be indistinguishable in Middle English writing. Unicode assigns codepoints U+2128 ℨ BLACK-LETTER CAPITAL Z (HTML &#8488;) and U+1D537 픷 MATHEMATICAL FRAKTUR SMALL Z (HTML &#120119;) in the Letterlike Symbols and Mathematical alphanumeric symbols ranges respectively. There is also a variant with a stroke. In modern English orthography, the letter ⟨z⟩ usually represents the sound /z/. It represents /ʒ/ in words like seizure. More often, this sound appears as ⟨su⟩ or ⟨si⟩ in words such as measure, decision, etc. In all these words, /ʒ/ developed from earlier /zj/ by yod-coalescence. Few words in the Basic English vocabulary begin with ⟨z⟩, though it occurs in words beginning with other letters. It is the least frequently used letter in written English. It is more common in American English than in British English, due to the endings -ize vs -ise and -ization vs -isation, where the American spelling is derived from Greek and the British from French. ⟨z⟩ is more common in the Oxford spelling of British English, as this variant prefers the more etymologically 'correct' -ize endings to -ise endings; however, -yse is preferred over -yze in Oxford spelling, as it is closer to the original Greek roots of words like analyse. One native Germanic English word that contains 'z', freeze (past froze, participle frozen) came to be spelled that way by convention, even though it could have been spelled with 's' (as with choose, chose and chosen). ⟨z⟩ is used in writing to represent the act of sleeping (sometimes using multiple z's like zzzz). It is used because closed-mouth human snoring often sounds like the pronunciation of this letter. ⟨z⟩ stands for a voiced alveolar or voiced dental sibilant /z/, in Albanian, Breton, Czech, Dutch, French, Hungarian, Latvian, Lithuanian, Romanian, Serbo-Croatian, Slovak, and the International Phonetic Alphabet. It stands for /t͡s/ in Chinese pinyin, Finnish (occurs in loanwords only), and German, and it likewise expressed /ts/ in Old Norse. In Italian, it represents two phonemes, /t͡s/ and /d͡z/. Castilian Spanish uses the letter to represent /θ/ (as English ⟨th⟩ in thing), though in other dialects (Latin American, Andalusian) this sound has merged with /s/. In Portuguese, it stands for /z/ in most cases, but also for /s/ or /ʃ/ (depending on the regional variant) at the end of syllables. In Basque, it represents the sound /s/. In Danish, Norwegian, and Swedish, ⟨z⟩ usually stands for the sound /s/ and thus shares the value of ⟨s⟩; it normally occurs only in loanwords that are spelt with ⟨z⟩ in the source languages. The letter ⟨z⟩ on its own represents /z/ in Polish. It is also used in four of the seven officially recognized digraphs: ⟨cz⟩ (/t͡ʂ/), ⟨dz⟩ (/d͡z/ or /t͡s/), ⟨rz⟩ (/ʐ/ or /ʂ/, sometimes it represents a sequence /rz/) and ⟨sz⟩ (/ʂ/), and is the most frequently used of the consonants in that language. (Other Slavic languages avoid digraphs and mark the corresponding phonemes with the háček (caron) accent: ⟨č⟩, ⟨ď⟩, ⟨ř⟩, ⟨š⟩; this system has its origin in Czech orthography of the Hussite period.) Two more Polish digraphs include ⟨z⟩ with diacritical marks, as accent and dot: ⟨dź⟩ (/d͡ʑ/ or /t͡ɕ/) and ⟨dż⟩ (/d͡ʐ/ or /t͡ʂ/). ⟨z⟩ can also appear alone with diacritical marks, namely ⟨ź⟩ or ⟨ż⟩. Similarly, Hungarian uses ⟨z⟩ in the digraphs ⟨sz⟩ (expressing /s/, as opposed to the value of ⟨s⟩, which is ʃ), and ⟨zs⟩ (expressing ʒ). Among non-European languages that have adopted the Latin alphabet, ⟨z⟩ usually stands for [z], such as in Azerbaijani, Igbo, Indonesian, Shona, Swahili, Tatar, Turkish, and Zulu. ⟨z⟩ represents [d͡z] in Northern Sami and Inari Sami. In Turkmen, ⟨z⟩ represents [ð]. In the Kunrei-shiki and Hepburn romanisations of Japanese, ⟨z⟩ stands for a phoneme whose allophones include [z] and [dz]. A graphical variant of ⟨z⟩ is ⟨ʒ⟩, which has been adopted into the International Phonetic Alphabet as the sign for the voiced postalveolar fricative. In mathematics, U+2124 ℤ (DOUBLE-STRUCK CAPITAL Z) is used to denote the set of integers. Originally, ℤ was just a handwritten version of the bold capital Z used in printing but, over time, it has come to be used more frequently in printed works too. In chemistry, the letter Z is used to denote the Atomic number of an element (number of protons), such as Z=3 for Lithium. Ȥ ȥ: Latin letter z with a hook, intended for the transcription of Middle High German, for instances of the letter z with a sound value of /s/. 1 Also for encodings based on ASCII, including the DOS, Windows, ISO-8859 and Macintosh families of encodings. ^ a b "Z", Oxford English Dictionary, 2nd edition (1989); Merriam-Webster's Third New International Dictionary of the English Language, Unabridged (1993); "zee", op. cit. ^ Michael Chugani (2014-01-04). "又中又英——Mispronunciations are prevalent in Hong Kong". Headline Daily. Retrieved 2017-04-26. ^ Henry George Liddell; Robert Scott. "ζῆτα". An Intermediate Greek–English Lexicon. Retrieved July 23, 2016. ^ Ti Alkire & Carol Rosen, Romance Languages: A Historical Introduction (Cambridge: Cambridge University Press, 2010), 61. ^ "English letter frequencies". Archived from the original on 2010-06-09. ^ Constable, Peter (2003-09-30). "L2/03-174R2: Proposal to Encode Phonetic Symbols with Middle Tilde in the UCS" (PDF). ^ a b West, Andrew; Chan, Eiso; Everson, Michael (2017-01-16). "L2/17-013: Proposal to encode three uppercase Latin letters used in early Pinyin" (PDF). ^ a b Constable, Peter (2004-04-19). "L2/04-132 Proposal to add additional phonetic characters to the UCS" (PDF). ^ Everson, Michael; et al. (2002-03-20). "L2/02-141: Uralic Phonetic Alphabet characters for the UCS" (PDF). This page was last edited on 19 April 2019, at 21:13 (UTC).